Congratulations to all of our students on a great 1st Quarter! Today we honored our Perfect Attendance and Honor Roll recipients for the first quarter. Thank you to our teachers and our parents who work so hard to help our students be successful. I hope you have a safe and relaxing fall break. Enjoy your time with your families! Picture Retake Day will take place on Tuesday, October 30th. If you missed PIcture Day or need retakes you can be out of uniform on this day. If you are participating in this you will need to have your order form (unless you ordered online). If you have already received your picture package and you want retakes you must bring your original picture package in with you. Order forms are available in the main office. This is a free event for all school families and parishioners. 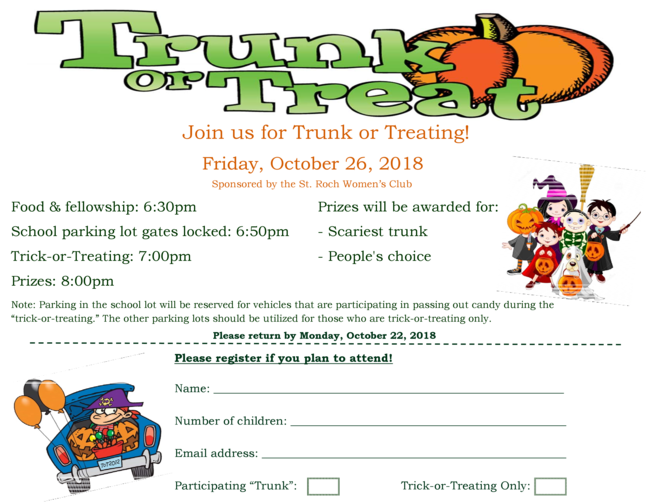 We are accepting Candy Donations for this event and they are being accepted anytime starting Monday, October 22nd until Thursday, October 25th. Candy may be turned into the school's Main Office. Flyers went home this week and can be returned to the school office. Did you know that a portion of your regular grocery purchase can come back to St. Roch? 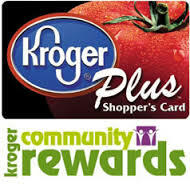 If you already have a Kroger Plus card, you are just a few steps away from allowing Kroger to give back to St. Roch from all of your purchases at the Kroger family of stores! To enroll, you will need to go to www.krogercommunityrewards.com . ONLINE GIVING We are having great success using this system every month. 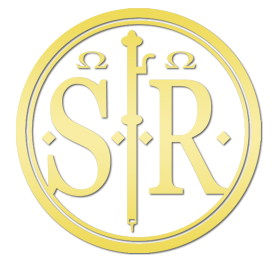 This is a very easy, convenient and safe way to give your offering for St. Roch Church. You will have full control over how and when you make your offerings. Please consider setting up your offering online. 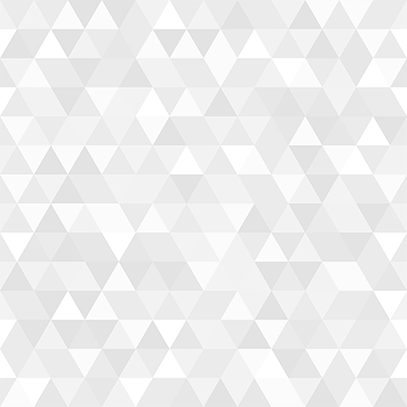 Click the button to visit the site. Test begins at 8:00 AM; students should arrive by 7:45 and enter through Door #5 (Auditorium). There is no pre-registration for this test. There is a $10 fee to cover the cost of the test; the student should bring this with them to the test (Cash or check payable to Roncalli High School). Calculators are not allowed (Unless stated on an IEP/ISP). Student should bring two #2 pencils. Parents are also strongly encouraged to attend an Admissions Information meeting on the morning of the HSPT from 10:00 – 11:15 AM in the Roncalli Auditorium. 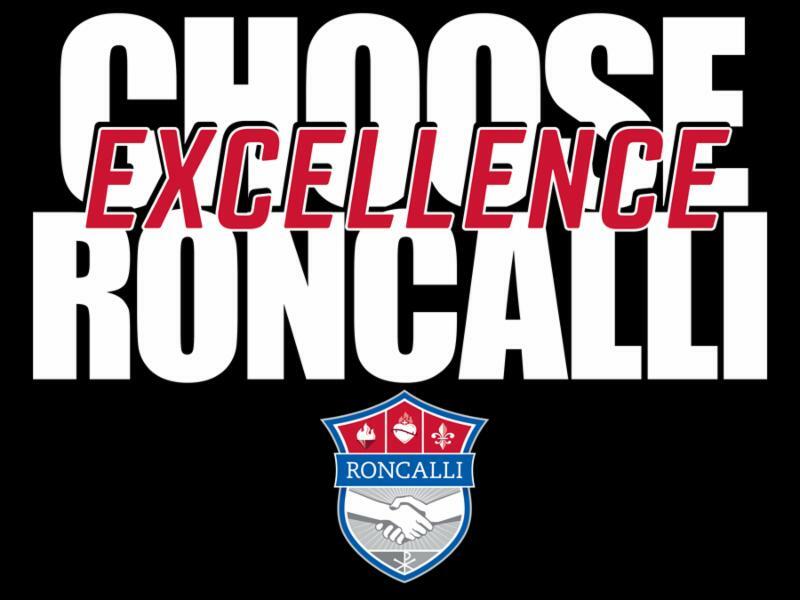 All R Welcome to the 2018 Roncalli Open House on Thursday, November 8th from 6:00 pm – 8:00 pm! All facets of school life at Roncalli will be on display. Prospective students will be able to visit information booths on all academic, extra-curricular and service organizations and have an opportunity to speak with current students, teachers, coaches, club moderators and school administrators. Tours of the school will be available throughout the entire two hour time period. 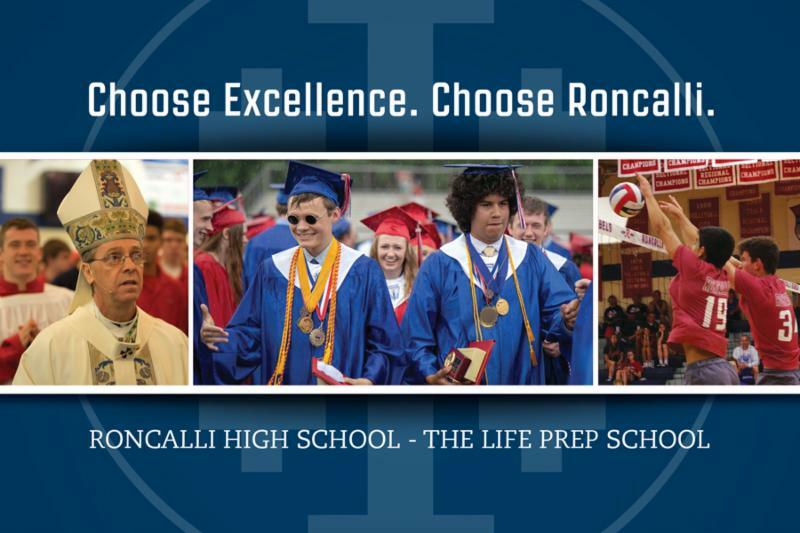 Please stop by and see why so many people are making Roncalli their choice for a high school experience unique to them! 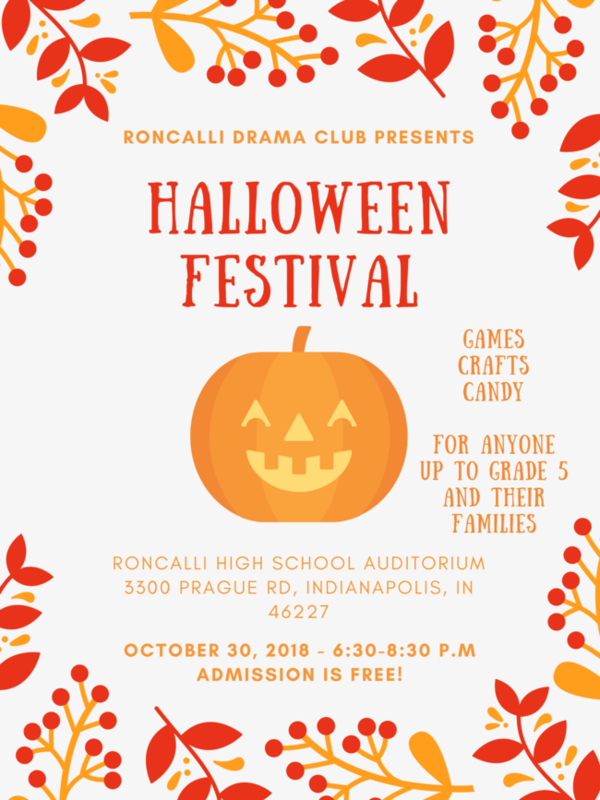 For more information, please contact Roncalli High School at (317) 787-8277. Show your RHS Spirit by displaying at your home and/or place of business one of the brand new 2018 RHS Yard Signs. The signs are free and may be picked up by the main entrance to the stadium! Thanks to all RHS families who participate in our yard sign campaign - your help in promoting Roncalli is much appreciated. The Roncalli Spirit Store will hold its annual Holiday Sale on Saturday, November 10, 2018, in the Roncalli cafeteria from 9 AM to 1 PM. We will have fantastic new merchandise updated with the latest trends and styles for everyone on your Christmas shopping list: Moms and Dads, Grandparents, students, future students little siblings and even your pets. We have non-apparel gift ideas you won’t want to miss. Eighth grade parents, shop with us while your student takes the Roncalli placement exam. For more information, please contact Wendy Lawrie, Director of the Roncalli Spirit Store at wlawrie@roncalli.org or 787-8277 ext. 279. See you at the sale! Did you know that you can schedule a tour of Roncalli High School during school hours to see what a typical day looks like? If you are curious on what this might look like, contact Director of Admissions & Marketing Allie Ross today to set one up! Allie can be reached at (317) 787-8277, ext. 243. Please bring a copy of your student’s IEP/ISP and educational evaluation!